Amanda Fuller holds the position of Managing Partner at DDB Remedy Australia (DDB’s Health-communication division) where her responsibilities are to lead the team and partner with clients towards business growth through insight-based solutions that harness current technology and unchanging human needs and emotion. She also holds the dual-role of APAC Health Lead for Omnicom. In this role she ensures the network opportunities are shared, key clients are connected with the right agency capabilities and group best practice sharing takes place. 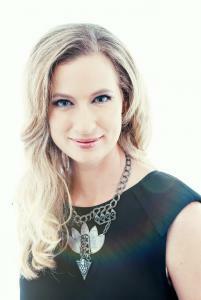 Amanda is an active board member for the Communication Council’s Healthcare committee. Amanda has worked for DDB Remedy for over 10 years, starting in London as Business Manager where she stayed and progressed for 4 years before returning to Sydney. Each 12-24 months being promoted. Prior to this she started her career in healthcare marketing at Grey Healthcare London as an Account Executive and had decided to stay in London longer and begin a new career. Before moving to London Amanda was the National Marketing and Communications Coordinator for a Brisbane-based National Building Company, Stoddard Building Products. Launching a new range of home improvement solutions and managing the B-to-B and internal communication and events. Prior to this Amanda moved to Brisbane and gained the position of Marketing Assistant for the National Tyre Company, Hamilton Tyre and Rubber Co.
She worked throughout her university degree as junior PR consultant at regional PR firm QCCN and Marketing Assistant for the Gladstone Entertainment Centre.